Description: A woman is framed by two caged birds on her houseboat in the city of Can Tho. Can Tho is the economic and commerical hub of the Mekong Delta. The Mekong delta in southern Vietnam is one of the most fertile areas in all of southeast Asia, and an extensive network of irrigation canals allows the region to be the world's second largest exporters of rice. 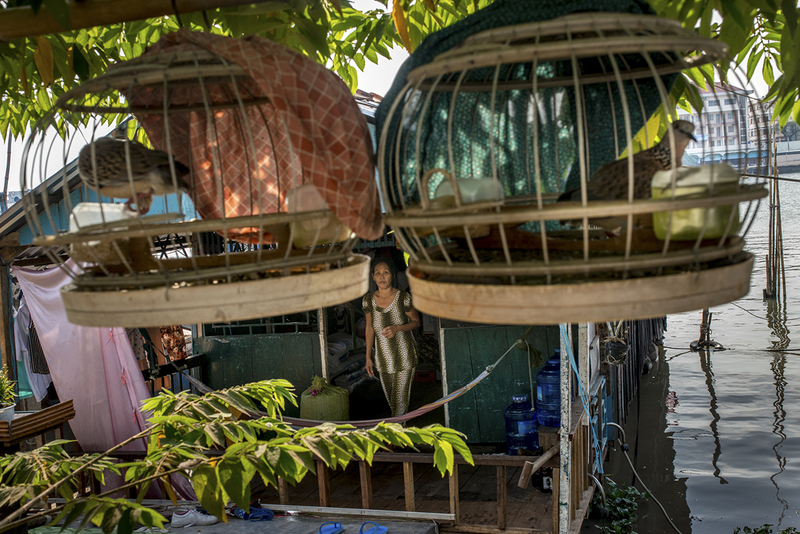 Caption: A woman is framed by two caged birds on her houseboat in the city of Can Tho. Can Tho is the economic and commerical hub of the Mekong Delta. The Mekong delta in southern Vietnam is one of the most fertile areas in all of southeast Asia, and an extensive network of irrigation canals allows the region to be the world's second largest exporters of rice.